Saffron – Improves skin complexion clears dark patches & imparts a glow to the skin. 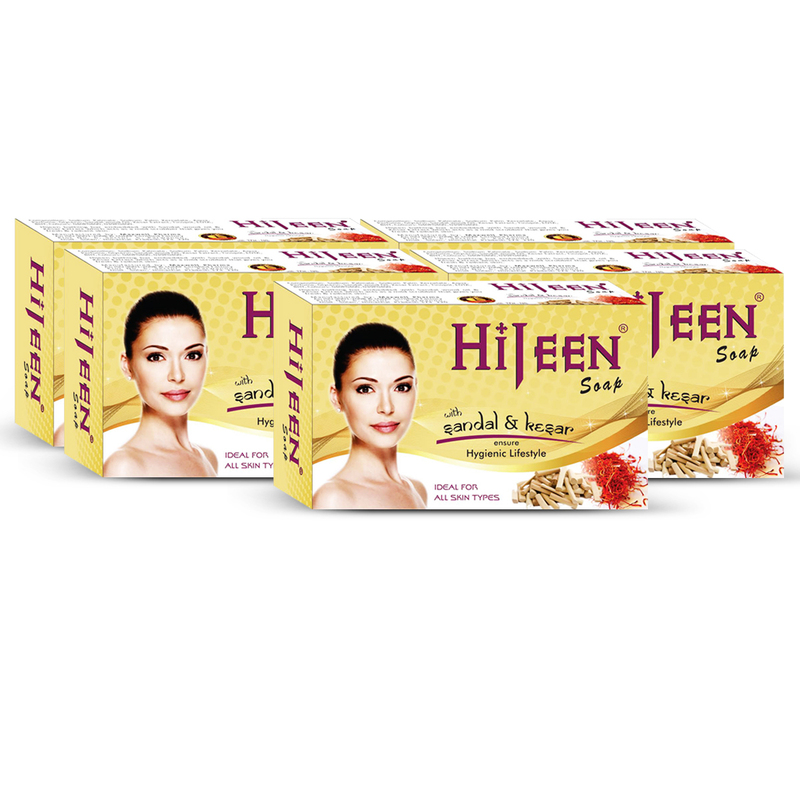 Hijeen bathing bar embedded with sandalwood oil & Kesar extract which acts as a mild scrubber that gives you fresh and radiant skin. pure sandal and kesar likely.